Are you an embarrassing parent? Perhaps you are a pupil who has an embarrassing parent? 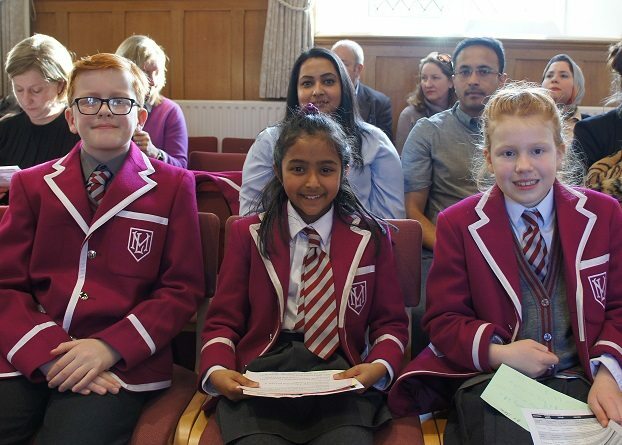 Amel, Rowan and Alexandra from Form 3 presented a lively and entertaining speech on this topic at the Epsom Public Speaking Competition on Thursday 2nd March. All three pupils gave engaging and assured performances and were highly praised by the adjudicator. Amel, who had the original idea for talking about embarrassing parents, came away from the competition with the prize for Best Chairperson. We were extremely proud of the whole team.